It was Richard Gilmore from the beloved TV show Gilmore Girls who stressed the importance of eating half a grapefruit every single day. "Brain food," he called it—but as it turns out, it's so much more than that. 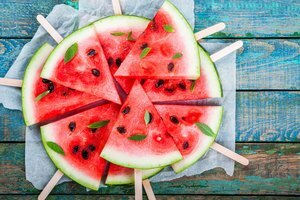 If you can get past its bitter taste, you will reap the many benefits, which include a high dose of vitamin C, better hydration (grapefruit is 92 percent water), and lowered blood pressure. 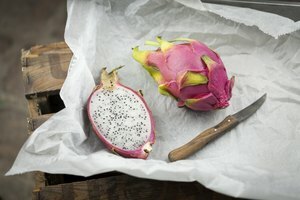 We've all had the unfortunate experience of buying fruits or vegetables with the best intentions to eat them only to have these foods go bad just a few days later. To stop this habit, learn about the shelf life of grapefruits, how to properly store them, and how to tell when they’ve gone past their prime. 1. High in nutrients and vitamins: Grapefruit contains large amounts of vitamin C, which is a powerhouse vitamin that helps people not only recover from colds faster, but also helps prevent them in the first place through protecting cells and guarding against harmful bacteria and viruses. It contains other beneficial vitamins such as copper, iron, zinc, B vitamins, and vitamin A, which are great for improving immunity and protecting against inflammation. 2. Beauty benefits: The vitamin A and vitamin C in grapefruit help keep hair and skin looking healthier. Vitamin A, which is shown to increase sebum production, keeps the hair moisturized while vitamin C creates collagen, an important protein that improves skin elasticity and reduces wrinkles. 3. Blood pressure impact: Stress can run rampant so it's important to consume foods that keep your blood pressure in check. Grapefruit is useful for this through its high levels of potassium (311 milligrams, to be exact), which help balance the negative side effects of consuming too much sodium (grapefruit contains zero). What is the shelf life of grapefruit? If you're looking to buy grapefruit, the first thing to do is give it a good squeeze to ensure it's not too soft—a soft exterior means it's going bad (we'll dive more into that soon). Fresh grapefruit can last two to three weeks on the counter and then five to six weeks in the fridge. The best way to properly store grapefruit is in the vegetable drawer in the fridge. If it's already cut, be sure to seal it tightly with plastic wrap or in a closed container. 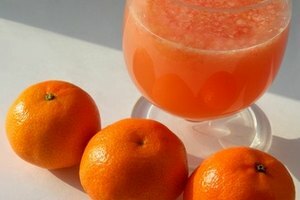 Frozen grapefruit, on the other hand, can actually last around 10 to 12 months. If you've had your grapefruit for a while and believe it will go bad soon, don't let it go to waste! Drink it up quick by turning it into a grapefruit juice. 2. Soft or mushy texture: When you first purchase grapefruit, its exterior should be firm all around, so if it has developed a soft texture, things have probably turned south. There might even be discoloration, a slimy film on the skin, or an off odor. If you discover any of these signs, toss it. If all else fails, you can prevent a grapefruit from going entirely to waste by enjoying a nice glass of grapefruit juice! Eat By Date: How Long Does Grapefruit Last?